Dato’ Sri Sabin Samitah, the Chief Executive Officer of the Inland Revenue Board of Malaysia recently paid a courtesy call on the CATA Secretariat. The CEO was received by the Executive Director CATA at Marlborough House London. 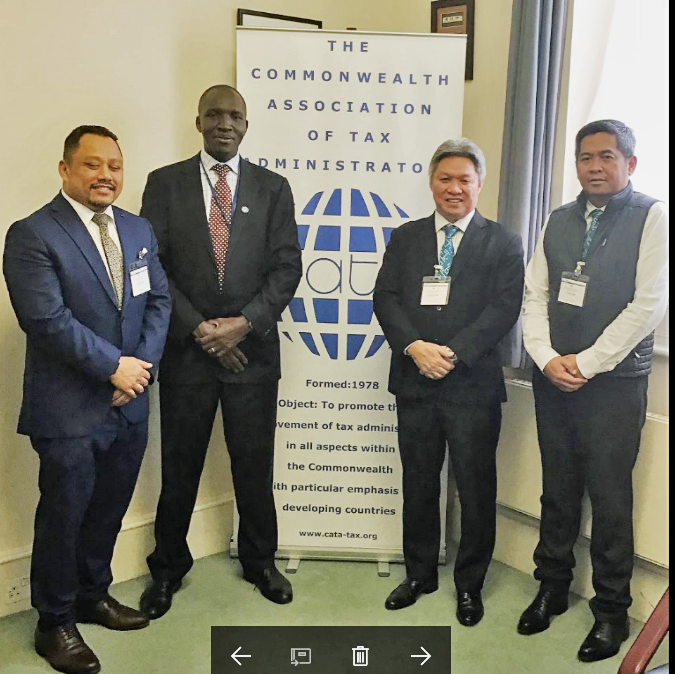 The Executive Director briefed Samitah on the progress of CATA Work Plan for 2019 and particularly the on-going CATA programs scheduled to take place at the Malaysia Tax Academy and the 2019 Technical Conference to be held in Sri Lanka later in the year. Samitah reiterated his administration’s continued support to CATA program and also stressed the need for countries to share best practices. He urged CATA to provide forums for sharing of information and best practices amongst the member tax administrations. The CEO was accompanied by Messrs Abu Tariq Jamaludin, Director Legal Department, and Ahmad Sauqi Ishak, Special Functions Secretary to the CEO.